I joined Merseyside Police in April 1980, and was posted to Marsh Lane, Bootle. They gave us blue shirts and you had to buy your own handcuffs. It was undoubtably the best time of my life. I got to know the Sefton area extremely well. After all those years, It is with some pride that I report that GSTS has retained its contract with Sefton Council. I only found out a week before the latest tender process that the contract had previously been awarded to Crimewatch UK, a company owned by my former partner in Bootle CID – John Pinnington. After John’s untimely death in 2013, and before my time as CEO, GSTS had won the contract. 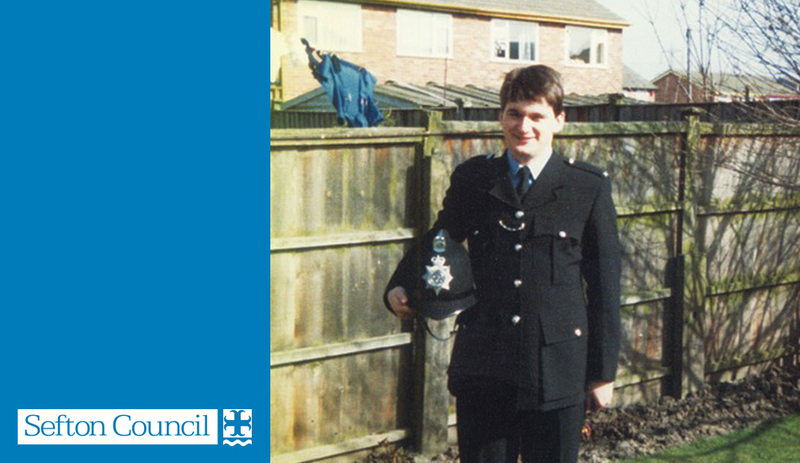 John was a detective for virtually all his 30 years’ service, and had worked at the Tactical Support Unit and later played an important role in the James Bulger murder investigation. John was the calmest and most unflappable person I ever met. When we partnered up, he must have been fifteen years older than me and was always telling me to calm down when someone or some aspect of the job annoyed or frustrated me. He was a great family man who rarely swore, was teetotal, and who kept ferocious German Shepherds, who were like big furry teddy bears in his hands but wanted to kill and devour anyone else. He had one that when it growled, curled its upper lip like Elvis – I was petrified of it. John used to love doing up a succession of clapped out old bangers and had a number of rusty mini vans and Fiats. He was well known round the scrapyards of Bootle and Kirkdale. His massive hands were always full of cuts and oil stains, and he would cheerfully tell you that he had squeezed under some wreck to change a water pump in the pouring rain. The only time I ever saw him lose his temper was when one of John’s scrapyard ‘snouts’ told him that a Liverpool Council bin wagon driver was selling the new parts off his bin wagon at a scrapyard in Hawthorne Road. The driver would apparently drive back to the council depot with old wheels and tyres and other parts replaced new for old. It was a strange job and as super sleuths the only thing we could deduce was that somewhere a new bin wagon was being ‘done up’ and the parts utilised. We got a call one summers afternoon that the bin wagon had ‘tipped’ up at the ‘scrappie’, and John and I went to keep observations on it. No sooner had we got into position than we saw the driver coming out of the yard and indicating to turn right. We ran across the road – John went to the driver’s side and I went to the passenger side. Like idiots we jumped onto the foot plates and grabbed hold of the wing mirrors, shouting at the driver to stop. The driver panicked completely and turned out onto Hawthorne Road with John and I attached. He drove about a 100 yards. For a moment, I thought I’d let my body go limp and fall off and do a spectacular forward roll like they do in the movies, but I could feel the swish of traffic and a Crossville Bus at the side of me. At that moment, I saw John’s huge fist smash into the drivers head, nearly knocking him sideways. John then grabbed the steering wheel keeping it straight and the wagon juddered to a stop. I got round to the other side of the wagon to find John calmly telling the dazed driver he was under arrest and apologising for hitting him so hard. I was still sweating and flustered when our backup arrived. We could have been killed – John put his hand on my shoulder and grinned ‘That was fun hey Pottsie?’. Last week, when I got the news that GSTS had retained the Sefton Council contract, I just knew that Pinno would have definitely approved.